S.B.A. is a proprietary bonding agent and Portland cement mixture. When S.B.A. is added to Portland cement and sand, S.B.A. provides superior adhesion and flexibility and allows the user to apply materials at any depth or thickness. When S.B.A. 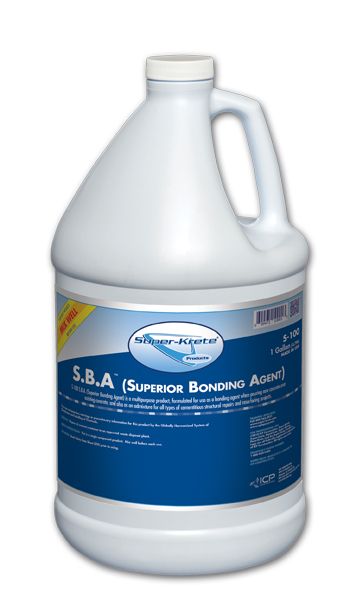 is used as a bonding agent, it allows the user to bond virtually any type of surface at any thickness without the need to primer coat. S.B.A. can and should be used as a primer to build up low areas. Will vary considerably depending on mixing ratio, surface porosity, application method, etc.